Part of the deal were prisoner releases and exchanges. Alan Gross, who was arrested and has been imprisoned for espionage in Cuba for the past five years, is on his way back to the U.S. There will also be a swap of alleged spies. President Obama and Cuban President Raúl Castro shook hands at a memorial service for Nelson Mandela in 2013. The U.S. and Cuba have reached a historic agreement to normalize relations. America will open an embassy in Havana. There will be relaxed restrictions on U.S. travelers visiting Cuba, and Americans can return with a limited number of goods, including cigars. Part of the agreement was the release of Alan Gross, an American held in Cuba for five years on espionage allegations, for humanitarian reasons. Both nations have also exchanged alleged spies who were imprisoned. The White House credited Pope Francis in bringing the longtime rivals to the negotiating table. Sen. Ted Cruz says the Obama administration is "being played by brutal dictators whose only goal is maintaining power." 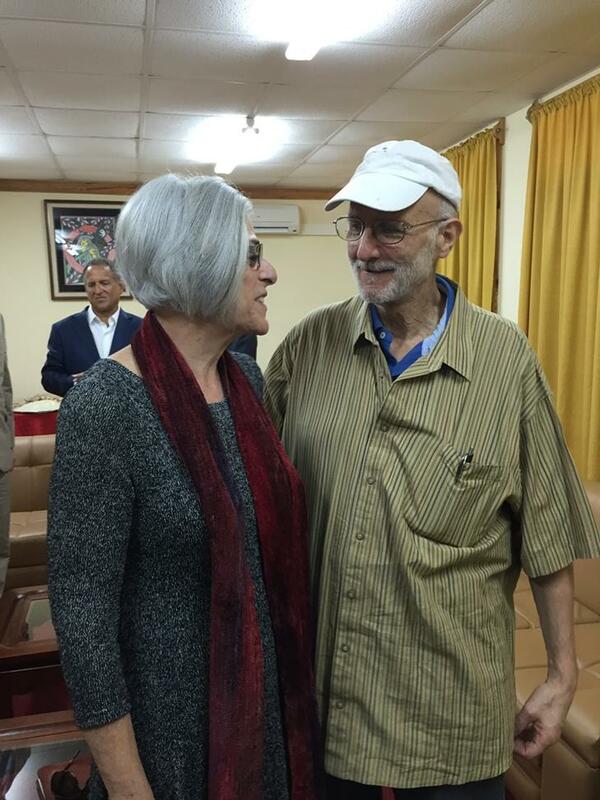 "We rejoice that Alan Gross' wrongful imprisonment by the brutal Castro regime has finally come to an end, and that he will be able to spend the holidays with his loved ones. But make no mistake, although we are glad Alan is now free, the agreement the Obama Administration has entered into with the Castro regime has done nothing to resolve the underlying problem. Indeed, it has made it worse. "Fidel and Raul Castro have just received both international legitimacy and a badly-needed economic lifeline from President Obama. But they remain in control of a totalitarian police state modeled on their old state sponsor, the Soviet Union. Their government can continue to detain individuals like Alan Gross indefinitely without process&mdash;as the many political prisoners still languishing in the Castros&#39; prisons can attest. They retain their close, long-standing ties with hostile nations, notably Russia, Iran, North Korea and Venezuela. They will continue their support for terrorist organizations from FARC to Hezbollah and Hamas. "The President spoke today about a new era for relations between American and the Cuban people, but these circumstances do not bode well for either. We have seen how previous Obama administration attempts at rapprochement with rogue regimes like Russia and Iran have worked out, with our influence diminished and our enemies emboldened. Now they are revisiting this same disastrous policy with the Castros, blind to the fact that they are being played by brutal dictators whose only goal is maintaining power. And if history be our guide, the Castros will exploit that power to undermine America and oppress the Cuban people. First Russia, then Iran, now Cuba &ndash; this is one more very, very bad deal brokered by the Obama Administration." The Obama Administration's decision to restore diplomatic ties with Cuba is the latest foreign policy misstep by this President, and another dramatic overreach of his executive authority. It undermines America's credibility and undermines the quest for a free and democratic Cuba.The benefactors of President Obama's ill-advised move will be the heinous Castro brothers who have oppressed the Cuban people for decades.I am delighted that Alan Gross has been released. It will be a joy and relief for his wife and family to have him home this Hanukkah season. He is innocent and should never have been in prison in the first place, nor spent five long years there as he suffered in poor health. It is, however, unfortunate that the United States chose to release three convicted spies.Cuba is a dictatorship with a disastrous human rights record, and now President Obama has rewarded those dictators. We should instead be fostering efforts that will truly lead to the fair, legitimate democracy that will ultimately prevail in Cuba. Alan Gross thanked President Obama in his remarks and said he supports the new policies towards Cuba. "What a blessing it to be a citizen of this country and thanks you President Obama for everything you have done today and leading up to today." He also thanked people who visited him and "subjected themselves to some of my ranting"
"To all those who tried to visit me but were unable to: thank you. I'm at your service as soon as i get some new teeth" -- Gross lost about five while in lockup. Gross said he had the "utmost respect for and fondness of the people of Cuba. In no way are they responsible for the ordeal to which my family and I have been subjected." "Cubanos... are incredibly kind, generous and talented. It pains me to see them treated so unjustly." 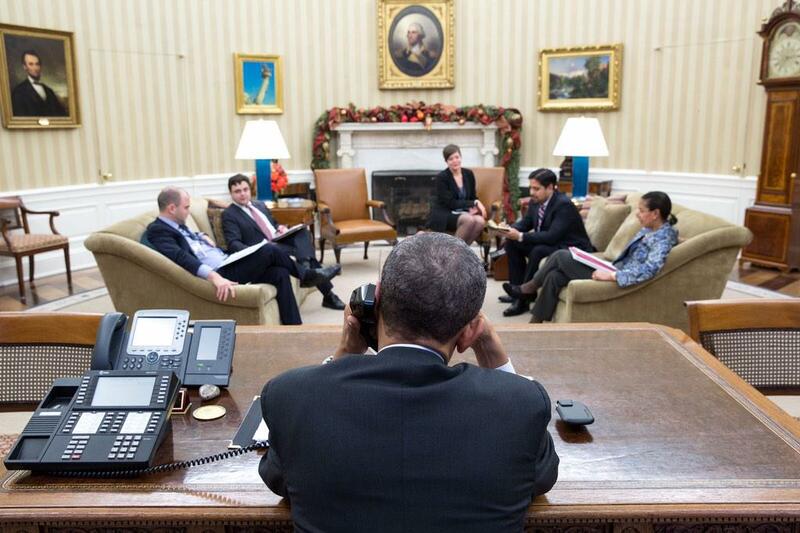 "I truly hope we can get beyond these mutually belligerent policies." Massachusetts Rep. Jim McGovern, who was part of the congressional delegation to welcome newly-freed Alan Gross, shared that Gross had kind words for John Kerry who had also flown into Andrews. "John Kerry's plane flew in around the same time and Alan said to the Secretary of State: &#39;thank you for not forgetting me,&#39;" McGovern said. McGovern, who has long been pushing for changes to America&#39;s policy towards Cuba, told BuzzFeed News that he and other members Congress who were part of the delegation only found about the Gross&#39;s release from a Cuban jail last night. When Gross' lawyer told him on Tuesday over the phone that he would be flown back to the U.S., there was a long pause. Then he said, "I'll believe it when i see it," the family spokeswoman said. When Gross boarded the plane, filled with elected officials, "there was a big bowl of popcorn waiting for Alan because that was one of the things he said he missed over the last 5 years." There was also a corned beef beef sandwich on rye with mustard and latkes with applesauce and sour cream. At 8:45 a.m. Wednesday, the pilot announced they left Cuban airspace. Alan stood up on the plane and took a deep breath and called his two daughters. President Obama called him on the plane on the way back and congratulated him on his freedom. Alan thanked him. When the plane landed, more elected officials met Gross. Secretary of State John Kerry was coincidentally there, at Andrews Air Force Base, and watched Obama's address with Gross. Jeb Bush today spoke out against the policy changes, according to USA Today. "I don't think we should be negotiating with a repressive regime to make changes in our relationship" until Cuba changes, Bush said. Bush is the former governor of Florida. He announced Tuesday he was "actively exploring" the possibility of running for president in 2016. Since my election as President of the State Council and Council of Ministers I have reiterated in many occasions our willingness to hold a respectful dialogue with the United States on the basis of sovereign equality, in order to deal reciprocally with a wide variety of topics without detriment to the national Independence and self-determination of our people. The heroic Cuban people, in the wake of serious dangers, aggressions, adversities and sacrifices has proven to be faithful and will continue to be faithful to our ideals of independence and social justice. Strongly united throughout these 56 years of Revolution, we have kept our unswerving loyalty to those who died in defense of our principles since the beginning of our independence wars in 1868. "Today, the United States secured the release of a Cuban individual from a Cuban prison who provided critical assistance to the United States. Information provided by this person was instrumental in the identification and disruption of several Cuban intelligence operatives in the United States and ultimately led to a series of successful federal espionage prosecutions. This man, whose sacrifices were known only to a few, has spent nearly 20 years in a Cuban prison due to his efforts on behalf of the United States. While many details of this individual's cooperation remain classified, with his release today we can now discuss some of his contributions to U.S. national security. He provided the information that led to the identification and conviction of Defense Intelligence Agency (DIA) senior analyst Ana Belen Montes; former Department of State official Walter Kendall Myers and his spouse Gwendolyn Myers; and members of the Red Avispa network, or "Wasp Network," in Florida, which included members of the so-called "Cuban Five. In light of his sacrifice on behalf of the United States, securing his release from prison after 20 years &ndash; in a swap for three of the Cuban spies he helped put behind bars &ndash; is fitting closure to this Cold World chapter of U.S.-Cuban relations." Students and teachers celebrated after listening to a speech by Cuba's President Raul Castro about the country's restoration of relations with the United States. Republicans threaten to block a future U.S. embassy and ambassador in Cuba. Two Republican senators effectively threatened to block congressional funding for a future U.S. embassy in Cuba and an ambassadorial nomination after the Obama administration announced sweeping changes to U.S. policy towards Cuba on Wednesday. "I anticipate I'll be the chairman of the Western Hemisphere subcommittee on the Foreign Relations Committee" in the new Congress, Florida Senator Marco Rubio said in a press conference hours after the release of American prisoner Alan Gross from a Cuban prison was announced along with the administration&#39;s plans to normalize relations with Cuba, including opening an embassy there. "I anticipate we&#39;re going to have a very interesting couple of years discussing how you&#39;re going to get an ambassador nominated and how you&#39;ll get an embassy funded," Rubio, an ardent opponent of lifting the Cuban embargo, said. "I intend to use every tool at our disposal in the majority to unravel as many of these changes as possible," Rubio said. South Carolina Senator Lindsey Graham tweeted on Wednesday that "I will do all in my power to block the use of funds to open an embassy in Cuba. Normalizing relations with Cuba is bad idea at a bad time." Relations with the Castro regime should not be revisited, let alone normalized, until the Cuban people enjoy freedom – and not one second sooner. There is no 'new course' here, only another in a long line of mindless concessions to a dictatorship that brutalizes its people and schemes with our enemies. If anything, this emboldens all state sponsors of terrorism, as they now have an even better idea of what the president meant when he once told Russian leaders he would have 'more flexibility' after his re-election. We have seen this before, and I fear we will see it again. "Despite these reservations about the president's changes in our policy toward this communist regime, we all feel great joy and relief for Alan Gross and his family. Americans do not forget our own, and we speak out today because we have a moral responsibility not to forget anyone anywhere who longs for liberty and dignity. The Holy Father wishes to express his warm congratulations for the historic decision taken by the Governments of the United States of America and Cuba to establish diplomatic relations, with the aim of overcoming, in the interest of the citizens of both countries, the difficulties which have marked their recent history.In recent months, Pope Francis wrote letters to the President of the Republic of Cuba, His Excellency Mr Raúl Castro, and the President of the United States, The Honorable Barack H. Obama, and invited them to resolve humanitarian questions of common interest, including the situation of certain prisoners, in order to initiate a new phase in relations between the two Parties.The Holy See received Delegations of the two countries in the Vatican last October and provided its good offices to facilitate a constructive dialogue on delicate matters, resulting in solutions acceptable to both Parties.The Holy See will continue to assure its support for initiatives which both nations will undertake to strengthen their bilateral relations and promote the wellbeing of their respective citizens. Secretary of State John Kerry met with Alan Gross this morning at Andrews Air Force Base. "Secretary Kerry landed shortly after Alan Gross did this morning at Andrews Air Base, where the Secretary met with Alan, his wife Judy, his lawyer Scott Gilbert, and other members of his family to welcome him home and express his overwhelming happiness that Alan Gross is now free and reunited with his family on American soil. This meeting wasn't planned, but given the timing the Secretary wanted to personally meet with Alan and his family and friends. " Kerry said in a statement he looks forward to being the first secretary of state to visit Cuba in 60 years. As we did with Vietnam, changing our relationship with Cuba will require an investment of time, energy and resources. Today&#39;s step also reflects our firm belief that the risk and the cost of trying to turn the tide is far lower than the risk and cost of remaining stuck in an ideological cement of our own making. This new course will not be without challenges, but it is based not on a leap of faith but on a conviction that it&#39;s the best way to help bring freedom and opportunity to the Cuban people, and to promote America&#39;s national security interests in the Americas, including greater regional stability and economic opportunities for American businesses. "Change is hard in our own lives and the lives of nations," Obama said, adding, "Today we are making these changes because it is the right thing to do." Canada hosted the discussions between the U.S. and Cubans, Obama said. "Given Cuba's history, I expect it will continue to pursue foreign policies sharply at odds" with the U.S., Obama said, adding he doesn't expect a "transformation of Cuban society overnight." "To Cuban people the [United States] extends a hand of friendship," he added. Castro: "We must learn about the art of living together in a civilized manner along with our own differences." Castro: "This doesn't mean the main issues have been resolved" with the U.S.
Live video of Raul Castro's address. “We will end an outdated approach." "There is no equivalence between an international aid worker and convicted spies who were found guilty of conspiracy to commit espionage against our nation," Menendez said in a statement. "One spy was also convicted of conspiracy to murder for his role in the 1996 tragedy in which the Cuban military shot down two U.S. civilian planes, killing several American citizens. My heart goes out to the American families that lost love ones on that fateful day." Menendez, the outgoing chairman of the Senate Foreign Relations committee, said that he was happy Gross had been released but that "trading Mr. Gross for three convicted criminals sets an extremely dangerous precedent." "It invites dictatorial and rogue regimes to use Americans serving overseas as bargaining chips." "This asymmetrical trade will invite further belligerence toward Cuba's opposition movement and the hardening of the government&#39;s dictatorial hold on its people," he continued. "Let us all remind ourselves that an untold number of ordinary people yearning for democracy remain imprisoned by the exact same tormentors that have punished Alan Gross and they, along with all Cubans, deserve a free and liberated Cuba." Michigan Democrat Sen. Carl Levin said in a statement he supported the president's "courageous decision." 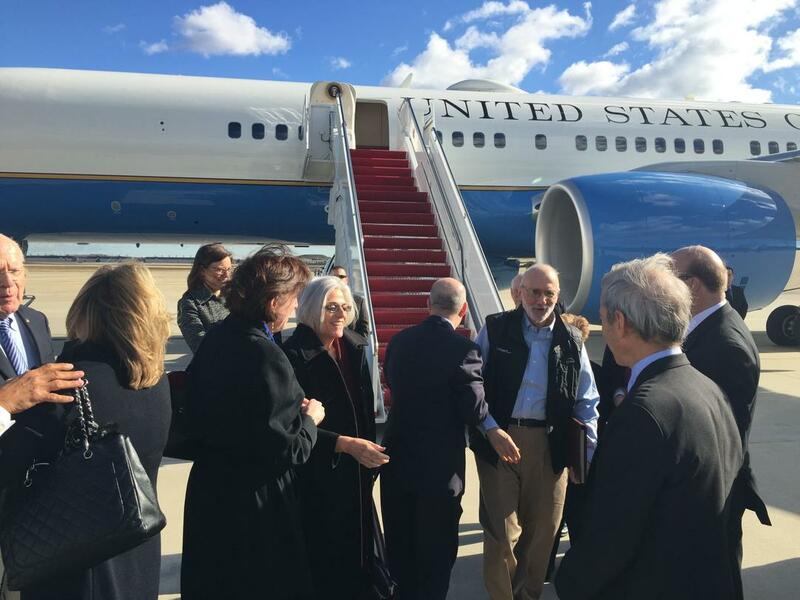 "Seeing Alan Gross walk off that plane with his wife, Judy, was a sight I'll never forget," Levin said. "His unjust imprisonment and his family&#39;s nightmare are finally over. A more regular relationship between the United States and Cuba has been overdue and is now possible. U.S. policy up to now has not worked in U.S. interests, and it has not weakened the Cuban regime. "Alan&#39;s return home also sends a message to Americans held around the world that our nation will not rest until they come home. I support the president&#39;s courageous decision." General licenses will be made available for all authorized travelers in the following existing categories: (1) family visits; (2) official business of the U.S. government, foreign governments, and certain intergovernmental organizations; (3) journalistic activity; (4) professional research and professional meetings; (5) educational activities; (6) religious activities; (7) public performances, clinics, workshops, athletic and other competitions, and exhibitions; (8) support for the Cuban people; (9) humanitarian projects; (10) activities of private foundations or research or educational institutes; (11) exportation, importation, or transmission of information or information materials; and (12) certain export transactions that may be considered for authorization under existing regulations and guidelines. Travelers...will be able to make arrangements through any service provider that complies with the U.S. Treasury's Office of Foreign Assets Control (OFAC) regulations governing travel services to Cuba. Are Cuban cigars legal under the new deal? Yes, a senior administration official said, but only if Americans travel to Cuba and bring them back for their personal humidors. "Authorized travelers to Cuba will be allowed to return with $400 worth of general goods and up to $100 of alcohol or tobacco products. That can include cigars," the official said. "That authorization is for personal consumption, that is not for resale or commercial purposes." Travel restrictions to Cuba will be eased as part of the agreement. According to a fact sheet released Wednesday morning by the White House, travel restrictions to Cuba will also be eased. The White House has designated 12 categories of travelers as being eligible for general licenses to travel to Cuba; the categories include journalists, humanitarian workers, and people on religious or athletic trips, as well as U.S. government officials. The administration is also expanding authorized exports to Cuba, including "certain building materials for private residential construction, goods for use by private sector Cuban entrepreneurs, and agricultural equipment for small farmers," according to the fact sheet. Alan Gross. Back on U.S. soil. Speaking on Fox News, Florida Sen. Marco Rubio slammed the administration, saying there is no support in Congress to lift the embargo. Rubio, the son of Cuban immigrants and likely a 2016 presidential candidate, has long been a vocal critic of Cuba and called Obama's move toward normalizing relations with the country "absurd." "My interest in Cuba has been the furthering of Democracy and freedom ... nothing the President will announce today is going to further that goal and it&#39;s ironic that a week after we imposed sanctions on human rights violators in Venezuela, we are lifting sanctions on the government that has taught the Venezuelans how to commit these human rights violations. It&#39;s absurd." "It&#39;s part of long record of coddling dictators and tyrants this administration has established." Additionally, Rubio said that there was not support in Congress for lifting the embargo. Cuba has an internet penetration of about five percent—one of the lowest rates in the world. The cost of telecommunications in Cuba is exorbitantly high, while the services offered are extremely limitedTelecommunications providers will be allowed to establish the necessary mechanisms, including infrastructure, in Cuba to provide commercial telecommunications and internet services, which will improve telecommunications between the United States and Cuba. Previous agreements between the United States and Cuba delimit the maritime space between the two countries within 200 nautical miles from shore. The United States, Cuba, and Mexico have extended continental shelf in an area within the Gulf of Mexico where the three countries have not yet delimited any boundaries.The United States is prepared to invite the governments of Cuba and Mexico to discuss shared maritime boundaries in the Gulf of Mexico. Francis played a big role in bringing the longtime rivals to the negotiating table, the White House official said. Francis sent what was characterized as an extraordinary personal letter to Obama and Cuban President Raul Castro over the summer, urging both parties to end their frosty relationship. Following the letter, and the negotiations, Obama and Castro had a phone conversation that helped lead to Wednesday's announcement. The letter "gave us greater impetus and momentum for us to move forward," the administration official said. The Vatican was the only government that participated in the negotiations between the U.S. and Cuba. Vatican officials were "in those meetings," the official said. The President has instructed the Secretary of State to immediately launch such a review, and provide a report to the President within six months regarding Cuba's support for international terrorism. Cuba was placed on the list in 1982. Republican Rep. Mario Diaz-Balart who is chairman of the Congressional Hispanic Conference slammed the president for allowing "the Castro regime to blackmail the United States." "The unjust imprisonment and inhumane treatment of Alan Gross demonstrates the utter depravity of the Castro regime, as well as the severe repression that has afflicted the Cuban people for decades," he said in a statement. "President Obama's decision to allow the Castro regime to blackmail the United States and abandon our pro-democracy principles is an outrage. These changes to policy will further embolden the Cuban dictatorship to continue brutalizing and oppressing its own people as well as other Anti-American dictatorship and terrorist organizations." The U.S. will normalize diplomatic relations with Cuba. Diplomatic communications will resume for the first time since January 1961. The U.S. will re-establish an embassy in Havana as part of the process. High-level exchanges will occur between the U.S. and Cuban governments, the first of which will occur when the assistant secretary of state for Western Hemisphere affairs will lead the U.S. delegation to the next round of U.S.-Cuba Migration Talks in January 2015, in Havana. Travel and economic restrictions will also be relaxed as part of the agreement. This is a breaking news article. Please check back and follow BuzzFeed News on Twitter for updates.